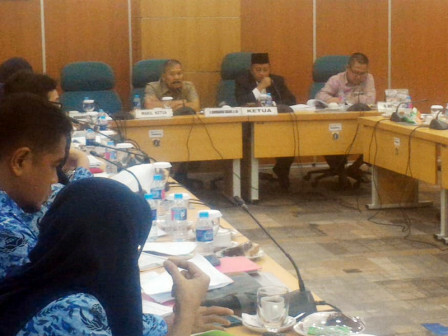 Jakarta Council (DPRD) Commission B suggested Jakarta Maritime Agriculture and Food Tenacity (KPKP) Dept. to recruit PHL personnel (freelancers) to monitor food safety in 153 traditional markets.
" We suggest KPKP Dept. to recruit PHLs to be supervisory personnel for public health and safety"
Jakarta DPRD Commission B Coordinator, Ferrial Sofyan stated, purpose to recruit PHLs to be food supervisors is to prevent distribution of food products that contain of hazardous substances in traditional markets. "We want Jakarta KPKP Dept. to be more serious in tightening food monitoring and recruiting PHLs to monitor food safety," he said while meeting with KPKP Dept., Monday (10/29). According to him, Rp 9.3 billion budget which is proposed by KPKP Dept. for integrated food safety monitoring program is considered insufficient to carry out effective food monitoring in 153 traditional markets in Jakarta. "Residents are still complaining about food products containing preservatives in markets. We suggest KPKP Dept. to recruit PHLs to be supervisory personnel for public health and safety," he mentioned.